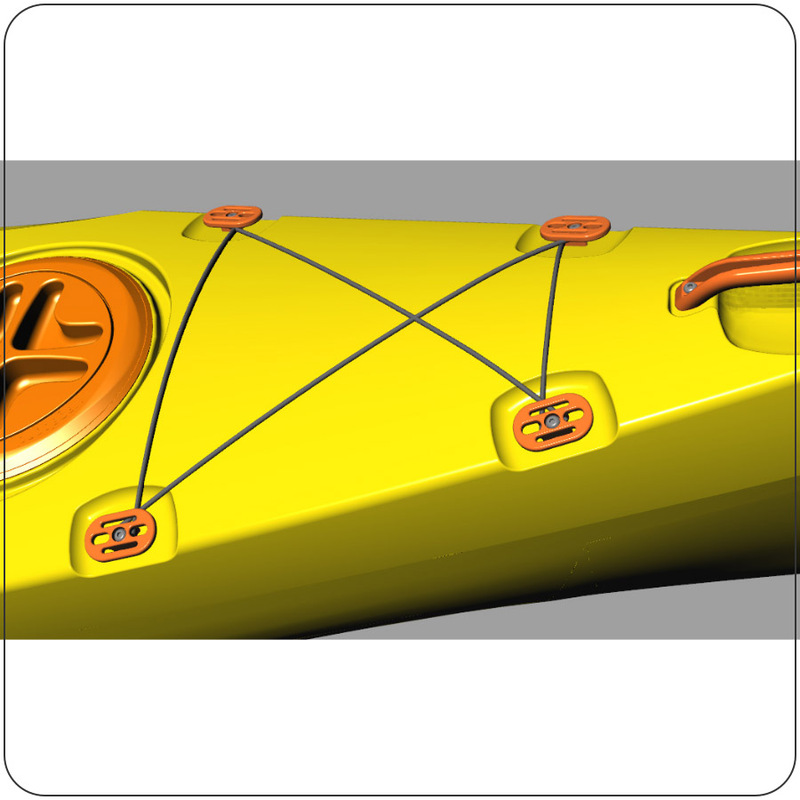 We added bungee cords to all our sit-on-tops to help you secure items in the Tankwells and also on the front decks. 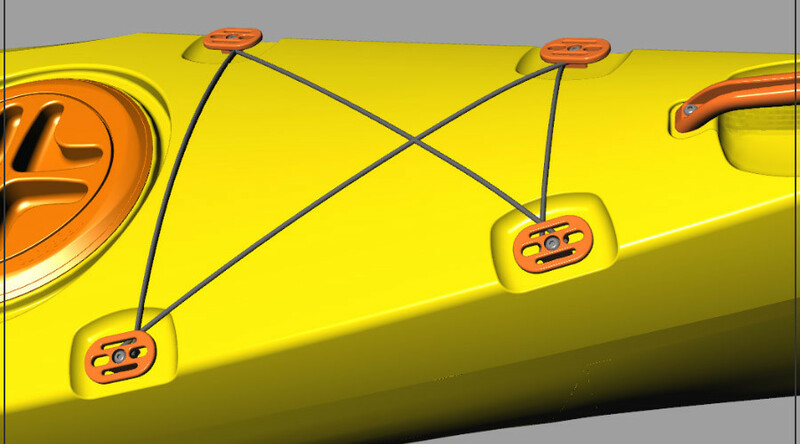 The bungee cords are attached to the boats by hooking the closed loops at the ends of the bungee cords onto Multifits. 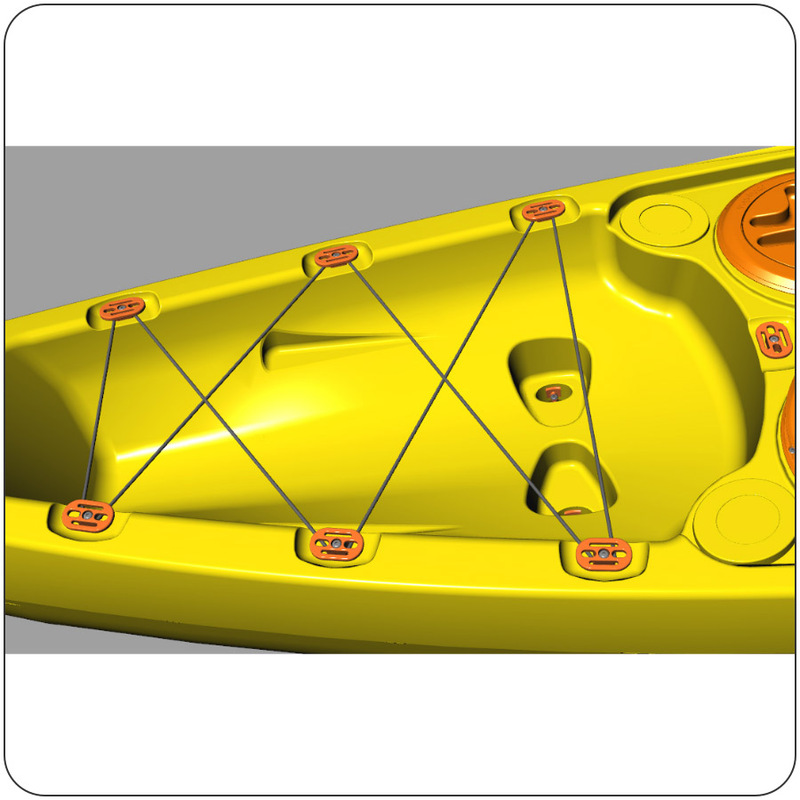 This results in a secure attachment, while still allowing you to take the bungee cords off the boat easily if you want to attach rope or tie downs to these Multifits.